When my brother-in-law was scouting his basement to build his man cave, he showed me the large open white wall where he planned to hang a new flat-screen television. “Don’t buy a TV,” I told him. 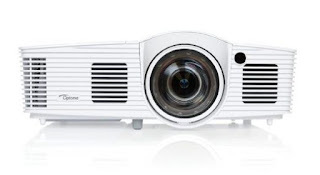 “This is a great spot for a video projector.” For less money than what he planned to spend on a TV, a projector would give him a much larger image with the same level of high-resolution detail. Plus, you get a killer killer gaming system. Gaming with a projection video rig is the bread and butter of a website called, appropriately enough, Project Your Gaming. 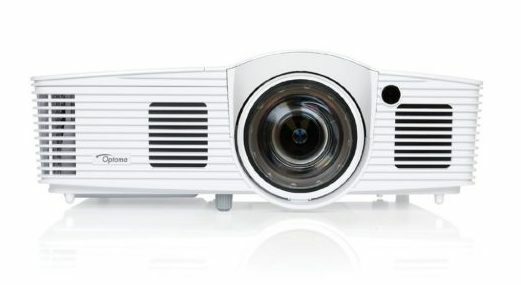 The site is currently featuring the Optoma GT1080, one of the best and, with a price tag of $674, among the most affordable projectors on the market. The GT1080 has native resolution of 1920×1080 pixels (1080p), a bright 2,800-lumen output, and a contrast ration rated at up to 25,000:1. Another impressive features is its short throw lens, which can provide a large projected image at a close distance, making it a good choice for both gaming and home theater use, especially in a low-ceiling room like my relative’s basement. To get a closer look at the Optoma GT1080 in action, watch the video below and check out the review of the GT1080 at the Project Your Gaming website.